The 24-acre parcel of land at the northern edge of Wamego is surrounded by a high chain link fence (with barb wire at the top) featuring a rolling electric gate. Fruit and nut trees line a quarter-mile-long paved driveway that leads to the two structures at the center of the property, which includes a free-standing garage equipped with a 47-ton retractable steel door. No, the owners aren’t paranoid or afraid of nuclear fallout. What was once an Atlas-E missile silo has been home to Charles and Kellie Everson, their four children, and their dog since 2009. 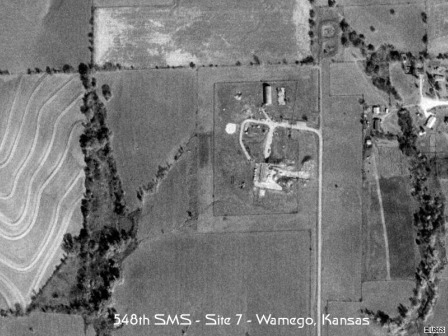 Completed in 1961, the property is a former Air Force installation housing an Atlas-E intercontinental missile base, one of nine such national defense sites operated by the 548th Strategic Missile Squadron based at the defunct Forbes Air Force Base in Topeka. Deactivated by the Air Force in 1965, the silo was abandoned for several decades until it was purchased in 1996 by Gordon Todd Skinner, who began an extensive and somewhat bizarre remodeling job. The 4,000-square foot former launch control building was remodeled into a luxurious underground apartment with an 1,100-gallon hot tub, three large carpeted living rooms, and a massive bath complex equipped with imported jade and marble. With approximately 16,000-square foot of floor space, the two main structures are connected by a 120-foot tunnel. 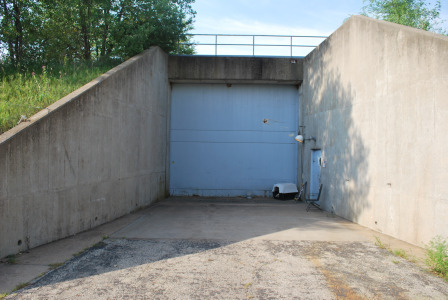 Skinner once indicated he bought the silo in order to open a “spring factory”; however, the missile site made national headlines in 2000 following the arrest and conviction on drug-related charges of Skinner and two tenants with ties to drug trafficking. The DEA said it was gearing up to be one of the largest LSD labs ever found in U.S. history. 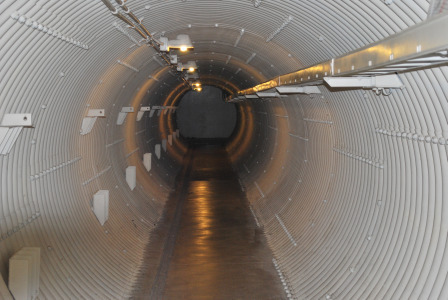 Although the missile site has a bit of a checkered past, the Eversons hope to make it a showplace of what a restored silo can be: a home that keeps the “Cold War” industrialized feel. Charles is also an avid collector of military memorabilia and equipment, all of which is stored in his own 10,000-square foot man cave. Hours: By appointment only for group tours.